I think it’s a great time to be teaching about composers. In fact, thanks to the “Star Wars” saga I’ve noticed a lot of enthusiasm and relevant learning going on right now during music class.I feel that the more relevant the lessons-the more learning and retention. I’m taking advantage of it and using John Williams movie music along with music movement and activities to teach and reinforce student skills in Music Elements such as DYNAMICS, TEMPO, FEELINGS or EXPRESSION and also Concepts such as STEADY BEAT, RHYTHMS, LOUD/SOFT, FAST/SLOW and INSTRUMENTS of the ORCHESTRA. 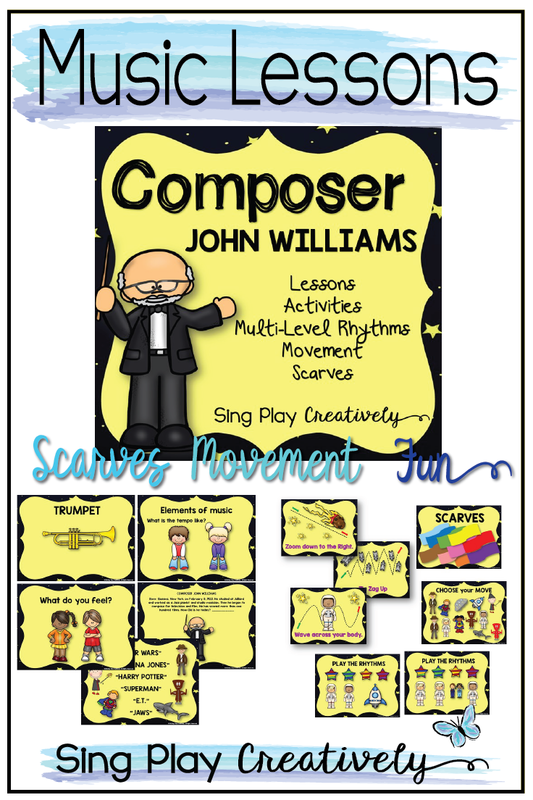 There are so many different activities you can do with the Music of John Williams. 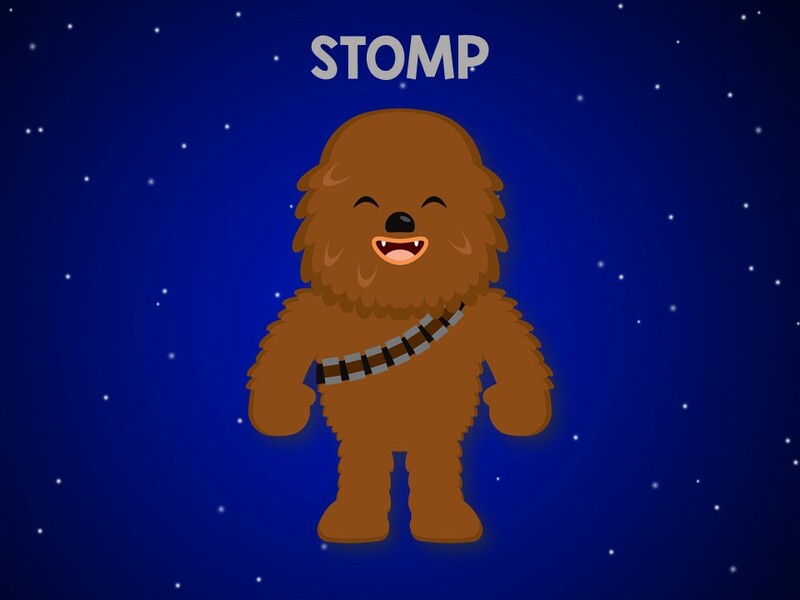 I thought I’d just share some of the things we did with “Star Wars” music. I start the lesson showing this video. This video features John Williams conducting the opening theme of “Star Wars” with some unexpected guests, who get a lot of ooo’s and ahhhh’s! I’ve got everyone’s attention now! 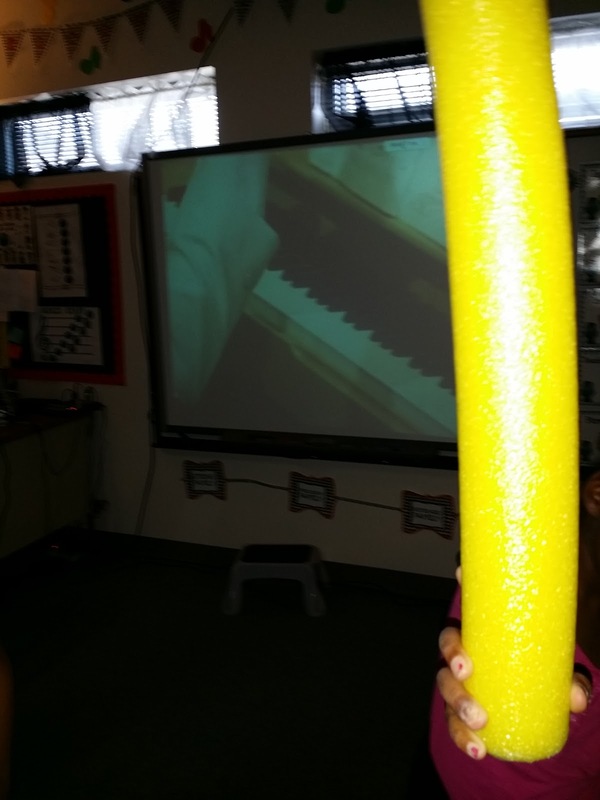 We then watch “Cello Wars” by the Piano Guys and discuss the difference between the two presentations. How was the music different? What did you hear? Which one was your favorite? I then grabbed a “light saber” and waved it around saying things like “down with Darth Vader”, “glory to the Republic”. I got a lot of “ooo’s and yay’s” as I passed them out to everyone. I showed the students how I wanted them to play the beat and then set some up parameters to our listening activity. I asked the students to freeze during the sections of the music where there was no clear steady beat. (like during the parts of the music when there are sound effects). 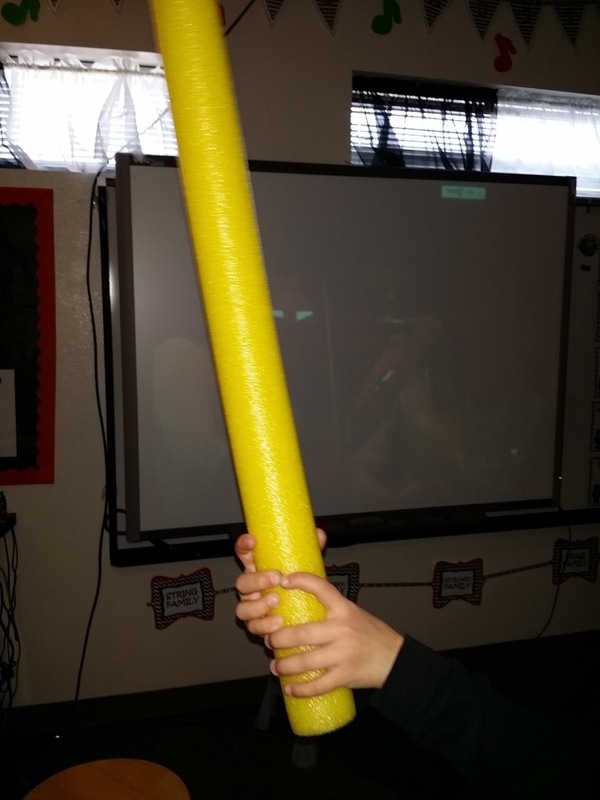 I had them wave the Light Saber in the air and express the sounds through movement (fast/slow). some Clip Art that I purchased on Etsy. (I am in no way affiliated with this artist.) Since the graphics are copyrighted, all I can do is share the link with you. Vivispartyshop. Here is the LINK. 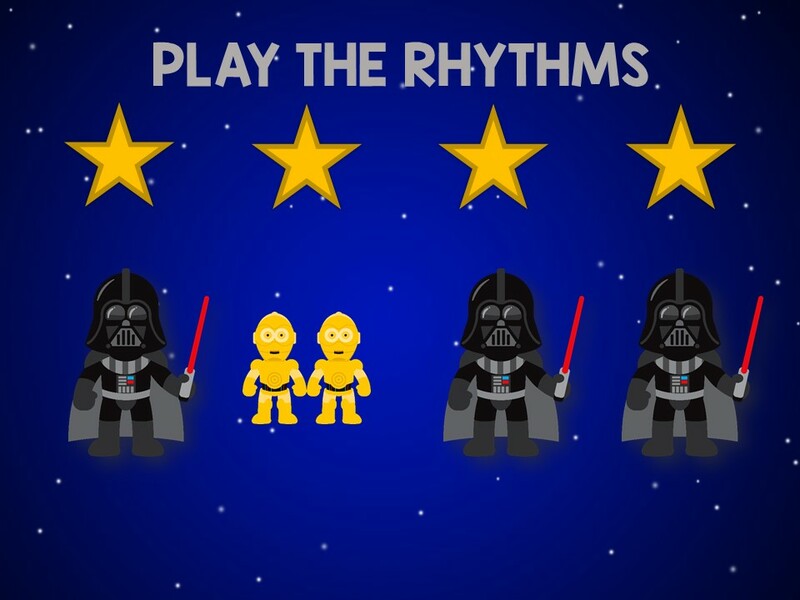 We play some “Star” Rhythms. Here’s a snippet of my students finding the Steady Beat to the “Star Wars” theme. Using a variety of music that I’ve previously purchased, I then had the students participate in a movement activity. I made a power point with each character representing a different kind of activity. The students especially enjoyed this activity as it was just a bit different than their normal “Freeze” Dance. I’d love share that one with you–but I can’t due to copyright laws. Feel free to check out the links yourself. It’s not hard to create. It comes with the star backdrop. 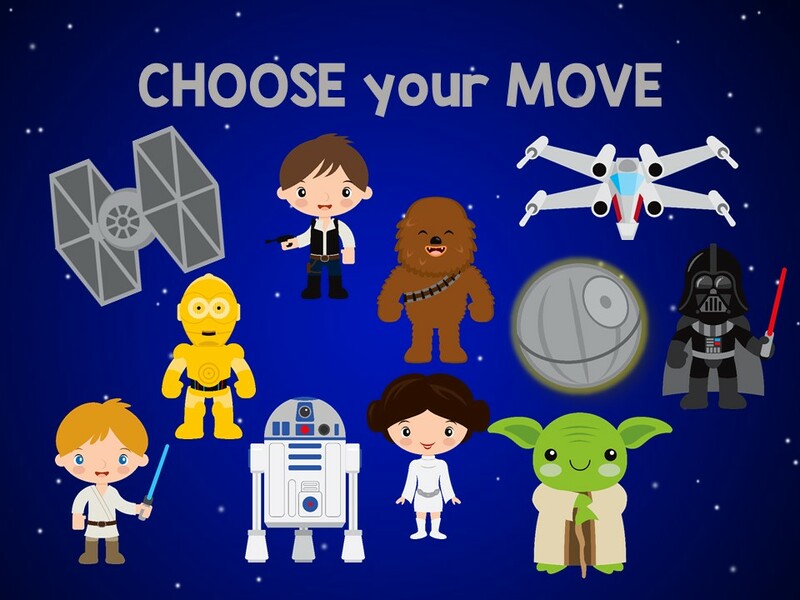 I created a product that has all of the Activities and Lessons with Directions, teaching pages and Action/movement pages. It’s 100 pages of intergalactic fun! 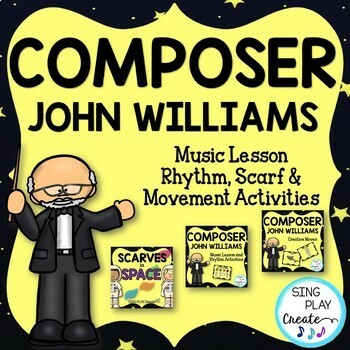 I hope your John Williams composer lessons are as fun for your students as they are for mine! If you like movement activities as much as I do-then you’ll like reading these ideas about Bean Bags! 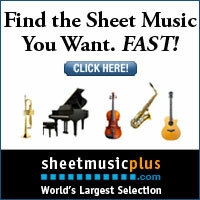 This is an amazing lesson resource! Thank you! Thank you! I’m so glad it worked for you:) Thanks for reading the blog.